Listen: Online Communities & The Dark Side Of The Web + Check out 200+ retail-tech startups hiring now. 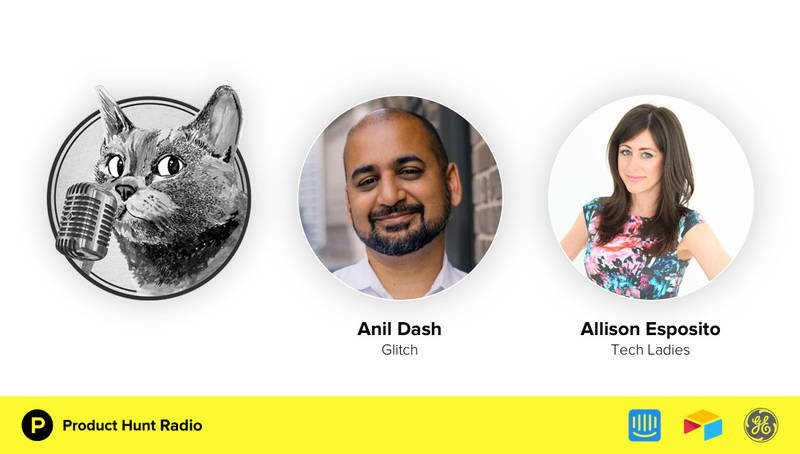 In the second episode of Product Hunt Radio, Glitch CEO Anil Dash and Tech Ladies Founder Allison Esposito cover everything from the good ol’ days of AIM and MySpace to the challenges of building a healthy online community. Plus: What should a founder’s goal really be when trying to start one? Listen now.